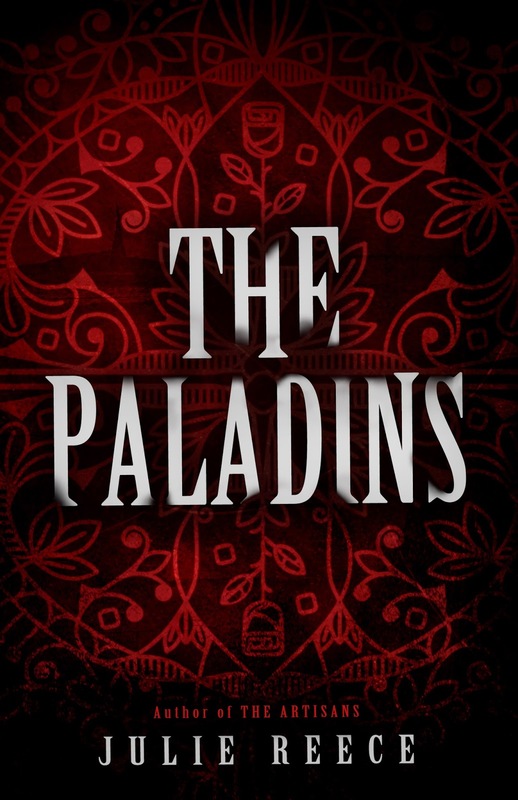 Today Julie Reece and Month9Books are revealing the cover and first chapter for THE PALADINS, book 2 in THE ARTISANS Series which releases May 3, 2016! Check out the gorgeous cover and enter to be one of the first readers to receive an eGalley and a eBook of THE ARTISANS!! specific font and a few square inches of graphic design. It seems impossible, yet most of us agree that art evokes emotion. And when I saw my cover, I was overwhelmed. see is real … until it’s too late. For me, the cover encompasses all those story elements. I hope you like it as much as I do. The Artisan curse is broken. Souls trapped in a mysterious otherworld called The Void are finally released. Now, Raven Weathersby, Gideon Maddox, and Cole Wynter can finally move on with their lives…or so they thought. If the ancient magic is truly dead, then why are mystical fires plaguing Gideon at every turn? What accounts for Raven’s frightening visions of her dead mother? And who is the beautiful, tortured girl haunting Cole’s dreams? 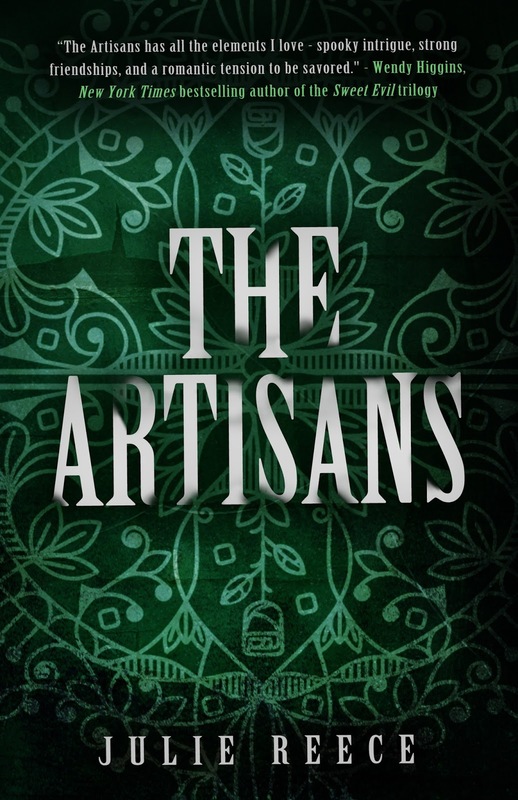 In case you missed it here’s the redesigned cover for THE ARTISANS! Her handsome young captor is arrogant and infuriating to the nth degree, and Raven can’t imagine working for him, let alone sharing the same space for more than five minutes.But nothing is ever as it seems. Is Gideon Maddox the monster the world believes him to be? And can he stand to let the young seamstress see him as he really is? It’s been four years since I planted the fireworks in Gideon Maddox’s locker that burned a third of his face. Four years since his father took revenge, trapping me with a spell that kept me prisoner in The Void. Three months since the magic found me again. Two months since my parents put me in therapy. One day since my parents left for Paris on a month long business tour. This morning, a mysterious girl no one else can see beckoned again from The Void. Tonight, I’m standing on the balcony of my parent’s palatial home, buying an airline ticket back to the states—back to Maddox mansion—the heart of my nightmares. People say the more things change the more they stay the same. I hate them for being right. I lived with the monsters in my prison until I thought I might go mad. Repentant of my past, I made peace with my fate, my eternity. 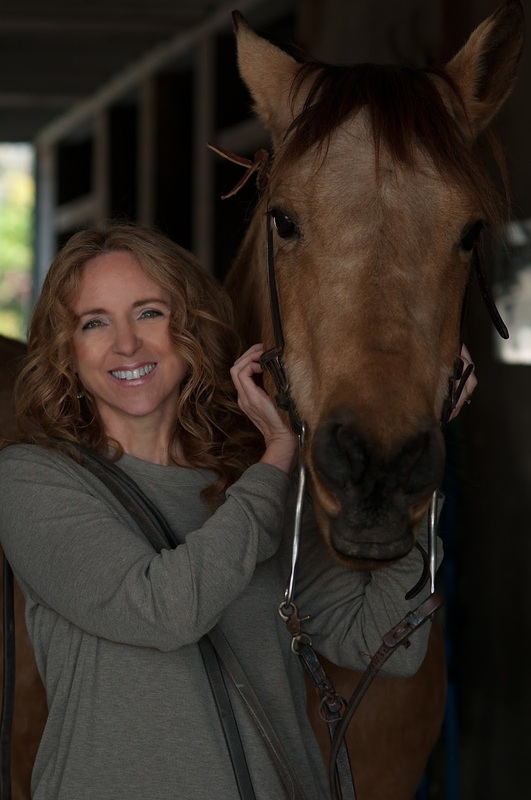 Until the day I was freed, because a stranger had the courage to help. This time someone needs me. How can I doom a girl to a fate I barely escaped? A bottle-green fly hums, rubbing his tiny legs together as though he’s plotting something. The insect seems a dirty ornament on the shiny desk nameplate he sits upon. Gold on gold, the engraved letters read Navin Cahvan M.D. This is the third psychiatrist I’ve met in as many weeks. Part of my mother’s plan to fix me. Jumpy nerves, insomnia, nightmares about demons when I finally do fall sleep—these are her justifications. Everyone tries to shrink me like a cheap T-shirt in the dryer. Right. He asked a question. The fly hums again, wings fluttering against his hairy back. My head pounds, my clothes scratch, eyes burn, and my ears are raw with the smallest sounds echoing deep inside. Trust you? Sure. I tell you what happened and you lock me away forever on meds that keep me drooling, while I play dominoes with people who see giant, pink rabbits. No thanks. Give me a break. You want me to tell you how I was a mean, dangerous kid. Confess that because I tormented a crippled boy, his father used a magic camera to trap me in an alternate universe as punishment. Explain how I lived a half-life in the Maddox mansion for four years until Raven Weathersby rescued me. About how much I miss her and think about going back someday … Maybe I am insane. I find his suggestion amusing since I’ve barely said ten words in the past hour, and our time is almost up. Incredibly pissed. “They’ve always been busy people. I’m used to them traveling.” But I wasn’t. I thought with all the time apart, my parents might want to stick around a while. Be a family. Nope. Since appearances mean everything, they threw a party right away to show their friends and colleagues how fine I was. The powerful and highly regarded Mr. and Mrs. Wynter pulled out all the stops to prove their love for their long lost son: fine wine, catered dinner, china, crystal, even a string quartet. Yet, my father couldn’t keep the disappointment from his face any more than my mother could drown her misery in vodka. Perhaps to appease their consciences, my folks hooked me up with doctors and provided for my physical needs before bailing. But a new car and an obscenely padded bank account wasn’t what I needed. So easily brushed aside again, I couldn’t help but wonder if parts of them were relieved when I’d disappeared four years ago. “Yes.” I’m lying about my amnesia. I know it. He knows it. So do my parents, but it’s too late to come up with a better story … like being the victim of a cult brainwashing or joining a psychedelic commune. I drank a different brand of Kool-Aid in Sales Hollow, South Carolina, and I can never tell a soul. The fly zings to the window. I flinch as the buzzing is magnified ten times in my head. It takes all my will not to jump up and smash the bug against the glass. The doctor watches me with sharp eyes trained to interpret body language. I hold his gaze, though my skin breaks out in a sweat. A sudden wind rattles the panes, and I startle. Cahvan’s mouth crimps at the corners. “Rather breezy today,” he says, glancing out the window at the quiet, blue sky. Who cares about the weather? I have to give the old guy something before I start whining about magic spells, heightened senses, or worse: how my daddy never loved me. Seriously? I stand and head for the door. Oh, I’ll see your secretary, all right. I’ll nod as I walk right past her. He didn’t help me. No one can. There are a lot of things I need. But touchy-feely therapy with Doctor Eyebrows isn’t one of them. After the awkward “circle of trust” episode, I can’t decide what to do with myself. I don’t want to be around people, but I don’t want to go home to an empty house either, so I wind up in the rambling cemetery a couple miles from our house. I like it here and come pretty often just to think. Crumbling grave markers bear witness to France’s rich history, even with the chiseled dates worn and fading with time. Moss, ivy, and ancient trees lend beauty and peace to a place that soothes my soul. I’m not trying to be morbid. I never kept company with the dead. We were the undead, in a non-sparkly kind of way. I’m not stupid enough to think I’ll discover the meaning of life. I’m just trying to find meaning in mine. After surviving a half-death, I’ve been given a second chance. Trouble is, I don’t know what to do with it. The sun is too hot on my back. No sooner does the thought cross my mind, when a friendly breeze tousles my hair like an old friend. I pull my cell from my pocket and stare at Raven’s number. She said to call her anytime, and I do. Gideon said to call her if I wanted my arse kicked. Typical. He’s still that insecure kid deep down. Still trying to prove himself, as he tries to control everyone and everything within his reach, just like his old man taught him. Should have known something was wrong when I first got the invitation to visit Gideon in America all those years ago. My parents were so happy Maddox Senior wasn’t pressing charges; they actually thought the gesture was an attempt at friendship. Of course, Mum and Dad sent me packing complete with an olive branch in my mouth. That gesture of goodwill got my picture taken and a trip to The Void with a bunch of vengeful old guys from the early nineteen hundreds and a hot blond with twisted taste in men. We spent our days trying to escape that hell. The labyrinth’s ghouls, the surreal existence of consciousness without a physical body, and the constant pain of regret all earmarked a life that wasn’t. My thumb starts dialing Rae’s number. Shite. Here we go again. I wonder if I sounded this creepy to Raven when I begged for her help. Veins at my temples pulse. Leaves shake and laugh in the breeze, the echo reverberating in my head. “Who are you? What do you want with me?” I want to stand, but my limbs weigh a hundred pounds each. My lungs deflate under the crushing pressure, and I struggle to breathe. The scenery of oaks and elms surrounding the cemetery blur into a muddy gray-green wall, and I know what’s happening. Gravestones push up from the ground like gnashing teeth and recede again until the ground transforms into a smooth, stone floor. The world of pedestrians, car horns, and singing birds around the graveyard fade to a quiet worse than death. My body rejects the idea of gravity. The weightlessness of being sucked back into The Void again invades my person like a virus, spreading into my muscles and bones, my very essence. I will the door of my mind closed to shut out the transformation. I place a mental shield before the magic so it won’t consume me, but magic has a will of its own. It snakes under the imaginary door I’ve erected in my head, enveloping me. I thrash, but it’s useless. My soundless screaming and mind-withering despair only seems to feed The Void’s strength. When I open my eyes, the cemetery is gone. I shift on a cold, damp floor, taking in my new surroundings. I’ve seen this place before, several times. The space is a circular stone room with two tall, skinny windows allowing diffused light inside. A bed sits across from me. Downy quilts worn and faded with use cover the straw mattress. On the wall, a huge, gilt-framed mirror reflects the room where a pretty blond sits in a hardback chair. Watching me. I’m familiar with strange, but not with sad, soul-eating eyes like hers. When she rises, I feel like I should thank her, because light from the window shows her curves through an ultra-thin nightdress. The sight chokes my airflow for a whole different reason. I’m so not thinking of Raven. For all my faults, I’m not the cheating type, but I am a guy, and this girl is seriously fit! I want to touch her in the worst way, but I swallow instead. Attempting to be a gentleman, I lift my gaze and focus on the far wall, yet somehow—because I’m still a guy—I end up watching the way her hair hangs in white blond waves to her thighs. Her rosebud mouth opens slightly. Pleading eyes, more silver than blue, threaten to pull me under and drown me. None of this helps curb my impulse to reach for her. Then I think about how she brought me here against my will, and that helps tamp down the hormones. I can. I pleaded with Raven for the same help not too long ago. Inside The Void, I thought I’d met everyone. The ones that Maddox had imprisoned, and the indigenous inhabitants of the labyrinth. I hadn’t known there were any others. The drip-drop of a leaky faucet is the only sound as I gather my thoughts. “Who are you? Where are you? I don’t understand what’s happening. Where is this place? Did Gideon put you here?” I rattle off my questions not pausing for a response. She doesn’t answer. Maybe she can’t. Wind picks up, whooshing through the hollow room, though the windows are shut. The sound grows, as though someone dropped a microphone in a washing machine. I grit my teeth against the noise. My mind squeezes in the pressurized vacuum. Cole … She extends a thin, white hand. I remember Raven. How she fell to her knees on the floor of the mill house when we first met. Pain rips into my psyche, claws at my sanity. The same way I’m sure it did hers. Stone walls smear and fade, the beautiful girl along with them. I can’t breathe. Then, the faint outline of tree tops bleed back into view. My panting rivals an overheated Saint Bernard. Grass pokes my palms. Rough bark scrapes my spine through my T-shirt. Any trace of the castle turret is erased as the same decrepit cemetery I know solidifies, and the garden is as it was before. I’m leaning against an old tree, yet my cell and sunglasses still lie next to the rose bushes where I was sitting, almost twenty feet away. I have no memory of moving. How did I get way over here? Both hands plow through my hair with my exhale. What the bloody hell just happened? Am I imagining this? A nightmare left over from the reality of my imprisonment. Or is the girl real? Trapped like I was and waiting for someone with the courage to free her. Is that someone me? I’ve been a lot of things, but brave isn’t one of them. To help her means going back to the mansion. No. I definitely do not need this shite. I’m starting over, leaving that life behind. Yet, the haunted expression on the girl’s face tugs at me. Something about her seems familiar. I’m gutted over how she reached for me. Raven doubted, too, but not for long. If the blond is real, then she’s really in trouble. And if she’s really in trouble, what, if anything, are you prepared to do about it, Cole Wynter? one very nice teacher) she fought dyslexia for her right to read and won. ARTISANS and an eGalley of THE PALADINS. International. I enjoyed the excerpt of The Artisans. Looks interesting.